Antonio Correia, David Ball, David Fearn & Peter Russell. Antonio was born in Setúbal, Portugal at the end of 1940s. I'm a landscape photographer based in and around the UK, I finally found my passion for landscape work after doing various types of photography through my ten years of experience. My inspiration to become a photographer started at a young age when my granddad would inspire me with his camera on holidays. 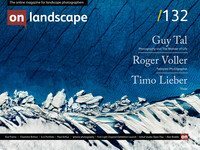 My passion is now with landscape work, some of which has been published in leading magazines including Digital Camera Magazine. I have been a photographer for 45 years and am now semi professional although landscape is my real passion.